The era of the plastic straws has come to an end, the ALANDIA Barware metal straws are here! These straws are made of stainless steel with a copper plating, With their glimmering shine they add a lot of style to your favorite drink. Plus, they help to reduce waste! The era of the plastic straws has come to an end, the reusable copper straws are here! 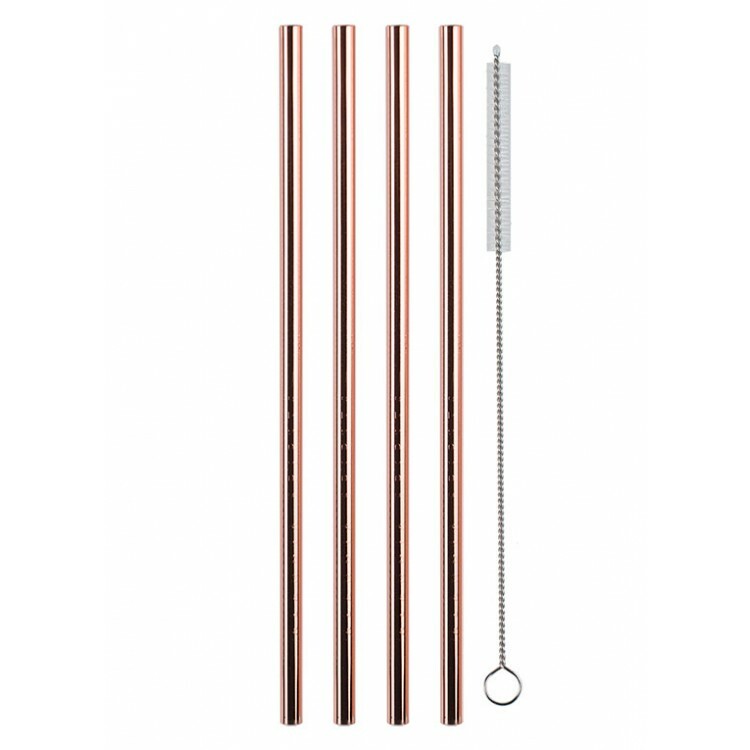 These high-quality metal straws are made by ALANDIA Barware. 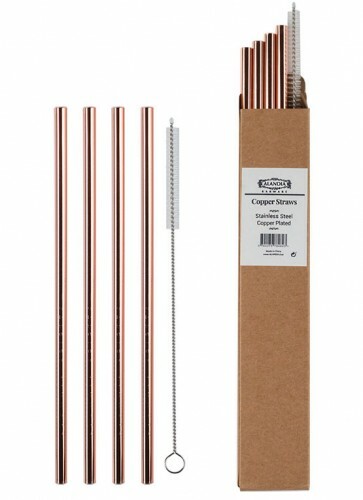 With their copper design these straws add a lot of style to your favorite drink. Of course they fit perfectly to a Moscow Mule served in one of our Premium Copper Mugs, but they look great in a regular cocktail glass as well. 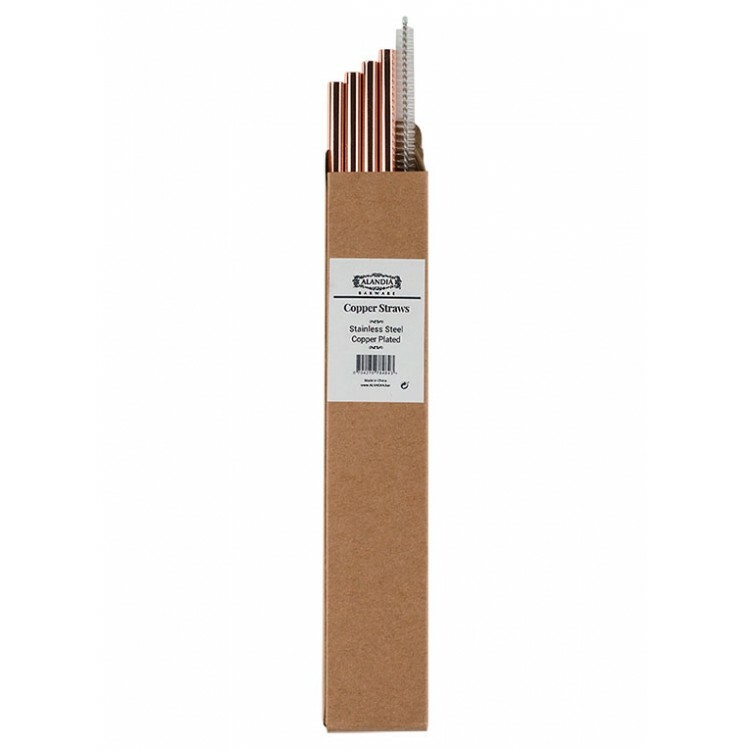 The straws are made of stainless steel with a food-grade copper plating. This gives them a spectacular glittering look. Drinking out of them is quite easy, as they have a slightly wider diameter of 0.5 cm / 0.2 inches. 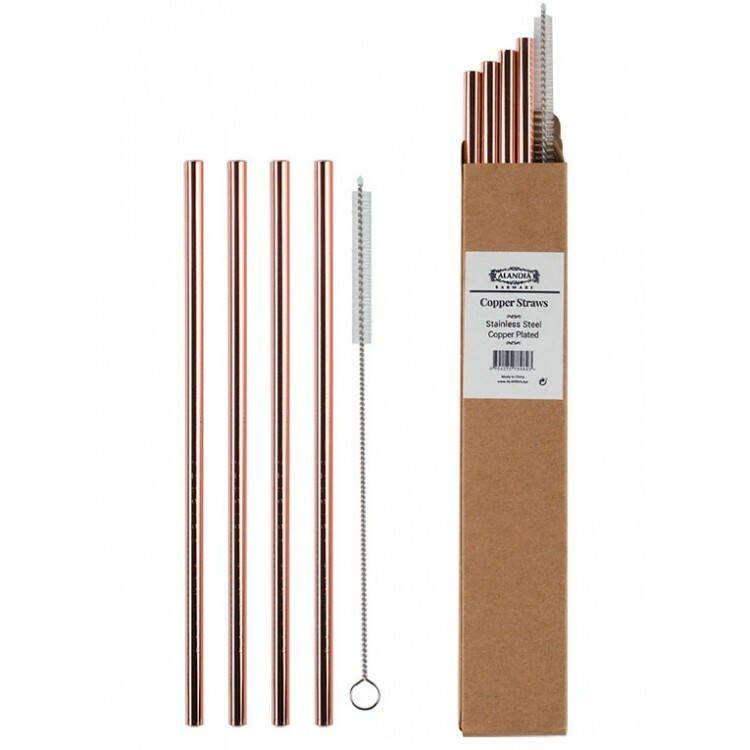 We also want to bring to attention, that metal straws are good for your eco-balance, they help to reduce plastic waste. You can reuse them over and over again and with the included brush you can easily clean them. You should always hand-wash the straws, to keep their brilliant shine alive. Moscow Mules are traditionally served with copper barware like our copper straws. For the drink you need Vodka (or Gin), Ginger Beer, cucumber, lime and ice cubes. Place 1-2 XXL ice cubes (or 4 regular size) in the copper mug. Add 30ml Vodka (or Gin if you want to make a Gin Mule) and the lime juice (approx. 30 ml). Stir and then fill the mug with ginger beer. Garnish the drink with 1-2 slices of cucumber. A good Gin for a Gin Mule is Lucky HANS Bavarian Dry Gin.